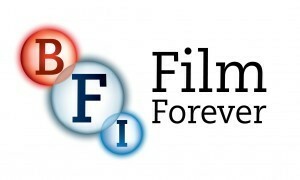 The Isle of Man Film Festival is proud to announce that this year they will host representatives of the British Film Institute as their guests on the Island. If you’ve a taste for the curious or the kitsch, the bewildering or the bizarre, then this specially curated selection of rare archive treats will satisfy the most adventurous palate. The BFI National Archive is among the largest and most diverse moving image archives in the world, currently in the midst of a major five-year digitisation project to make thousands of films, many unseen for decades, available online. Hosted by the BFI’s Gemma Starkey & Simon McCallum of the British Film Institute, this event will take place at the Manx Museum in partnership with Manx National Heritage. Doors open at 1.30pm for 2pm start. Tickets are £6 from the Manx Museum Shop. Gemma and Simon will also take place in our Pitch Fest during their stay, acting as panellists at the Friday event. Last Week to Submit to IOMFF16!